Item is a watercolour sketch of a costume design for Ballet Jorgen's production of Swan Lake. The costume is for three pages who appear in the Ball in act two. 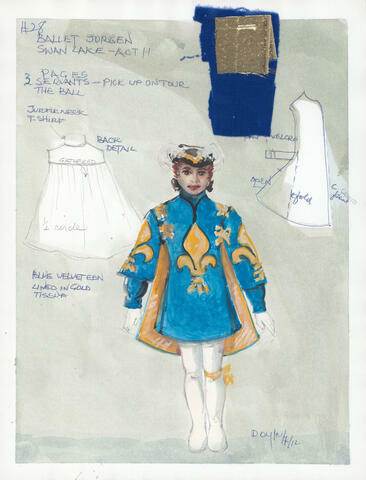 The sketch shows one young male figure wearing the costume as well as details from the costume. There are fabric swatches stapled to the sketch.